In every category there will be five nominees. The AWARD SHOW will be on december-21st 2016 in Filmtheatre SCHAUBURG. 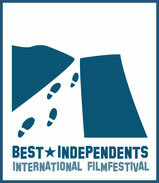 For Feature films we offer a special Best Independents Feature Film Award. There will be no screening for all selected and nominated Feature films.